It’s hard to successfully run a Non Emergency Medical Transport (NEMT) service business. If you can’t keep up with the competition, your business isn’t going to survive. Are you taking advantage of the powerful software tools that are available to you? Some of your competitors surely are, and it’s helping them lower their expenses and increase their revenue. In this article, we’ll show you five problems your NEMT service business is likely facing if you haven’t yet adopted route optimization software. This is crucial. If you only use pen, paper, and your instincts to plan routes for your drivers, you are bound to fail. You will spend hours planning your routes without any guarantee that the routes you plan are efficient or even accurate. On any given day, you might find yourself wondering: “Which areas have bad weather on my route?” There are many other potential obstacles, such as traffic and construction, that you should be worried about as well. Google Maps for route optimization isn’t a good solution for this problem. It doesn’t account for all the delays that a NEMT service provider might face. That’s why you need a delivery route planner. Such software makes planning efficient routes a breeze. It considers everything that could get in the way of your drivers staying on schedule, including traffic, construction, weather, one-way streets, and sunrise/sunset times. No matter how efficient your routes are, it won’t mean much if your drivers don’t actually follow them. Drivers might be taking breaks or running errands while they’re on the clock. How do you know if you can’t see them? The best Non Emergency Medical Transport service providers use a GPS tracker to monitor their drivers. With GPS tracking, you’ll know exactly what your drivers are doing, even though you can’t physically see them. This technology can show you the real-time location and speed of your drivers, so you’ll always be able to make sure that they’re sticking to their routes and staying on schedule. You need to show customers that you value their time. Otherwise, they’ll stop being your customers, and they’ll find their way over to one of your competitors. This is another reason why you should adopt a delivery route app with GPS tracking. Advanced route optimization software like Route4Me has an online portal that customers can use to track the status of the driver they’re waiting on. 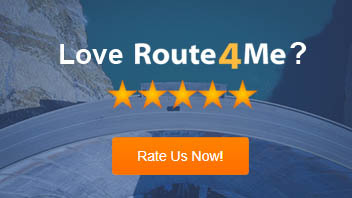 Every route created on Route4Me automatically has a unique tracking URL, and the customer just needs to enter it into the online portal to see the location of the driver displayed on a map. This will give them some peace of mind, and it will reduce the number of calls made to your customer service staff, too. Drivers are the face of your business. It doesn’t matter whether you offer NEMT service in San Diego or in Fargo – the behavior of your drivers on the road is a reflection of your business as a whole. If your drivers are reckless, people will get the impression that your entire business is irresponsible. On the other hand, if your drivers consistently follow the rules of the road, potential customers will get the impression that your business is professional and worthy of their time. GPS tracking makes intelligent training solutions possible. Route4Me offers Safety4Me, a training course that tracks drivers and assigns them lessons based on their behavior on the road. For example, if a driver has a habit of braking harshly, Safety4Me will detect this and assign them a lesson on how to brake properly. This is much more effective than the one-size-fits-all approach. Every driver gets the exact education they need. The greatest benefit of route optimization software is the direct effect it has on your bottom line. Any kind of Non Emergency Medical Transport service provider must control their expenses. There’s just no way around it: you need to keep your rates reasonably low to compete with other NEMT service providers in your area, and you need to keep your expenses low in order to afford low rates. Route optimization software will reduce your expenses in a number of ways. More efficient routes means less travel time, so you’ll save on fuel and wages. Also, if one of your vehicles is ever stolen, GPS tracking significantly increases your odds of recovering it. A reporting and analytics feature allows you to save even more money on gas. This feature lets you analyze your fuel expenses for selected routes over a given period of time. You can monitor the average gas prices, total gallons used, average trip gas cost, and more. That way, when you try out different fuel efficiency techniques, you’ll actually be able to tell if they’re working or not. So, do you have any questions about this article? Feel free to let us know in the comments section below. Finally, answering these three questions correctly will confirm that you understand how a route planner will help you beat the competition. How can a route planner help you improve customer service? Why is data-driven driver training important for making your transportation service more efficient? How can a route planner ensure that your clients will highly recommend your Non Emergency Medical Transport service? I totally agree when you said that a company with drivers who follow the rules will give a good impression to their clients. With that in mind, I will tell my sister to look for a company who has clear records regarding traffic law and the rules of on the road. 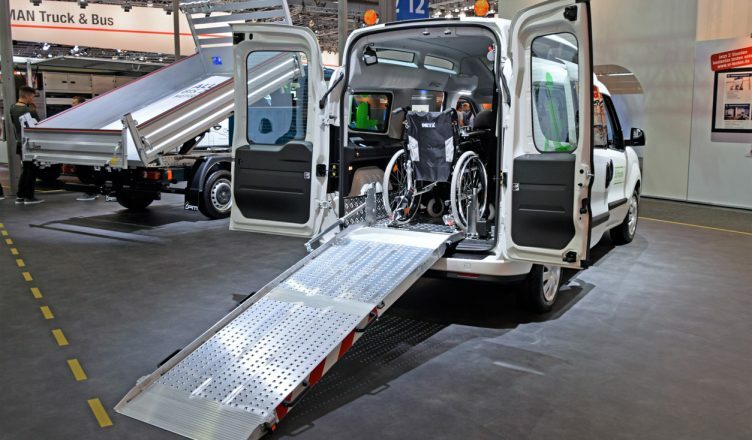 This is to ensure that the medical transportation they will hire will bring her husband’s mom to the hospital safety for times that they are not around and she has an appointment.